Managing discipline in a large company starts with the hiring process. I’ve always believed in hiring slow and firing fast. But I also had a rule that nobody could be fired without my permission. What that meant was any issue that looked like it could end in termination would elevate to me so a manager or supervisor couldn’t victimize an individual. In that way, there was a safe zone. It ensured that everyone was treated fairly and that there was an independent third party involved in the entire process. Second, I instituted a program based on self-managed performance (SMP) where everyone is accountable for their own performance and they were expected to take responsibility for it. Since everything was measured, they could do easily see how they were working and take the appropriate steps. If they couldn’t achieve that because of a teammate’s performance, they had every right to bring it up to that teammate, which meant they had the right to have the issue resolved. This meant we needed less intervention by supervisors and managers, which minimized the possibility of some supervisor or manager exercising their ego and victimizing someone. In this way, managing discipline became a matter of whether an associate was meeting their performance objectives, rather than making it about personality issues. We also made sure the managers had their own SMP goals for themselves and their department, and we would review those on a quarterly basis. I also expected people to be polite and respectful when they dealt with each other. They could be direct and to the point, but they had to be polite and respectful. It’s how I dealt with people, and I expected the same from them. I remember once, I had a general manager who decided he wanted to exercise his ego about something and it backfired on him. One day, something went wrong with one of our systems and the GM walked into a room where the Controller and the Senior Systems person were having a meeting and he just unloaded on these two as if this glitch was the end of the world. He demanded the problem be fixed and be fixed now, and he didn’t care what they were doing. The GM had a choice. He could tell me to go to Hell and not have a job, or he could do exactly what I said and show those two people he had the courage to admit when he was wrong. Of course, he chose the latter. His chin did quiver a bit when I told him what I expected, but he realized he had been a jackass and was ashamed with himself. I also never had that problem with him again. 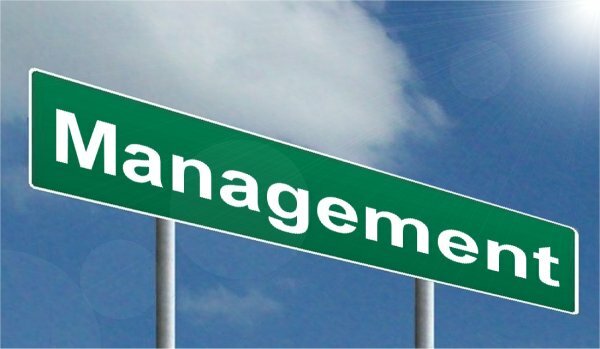 I’ve found that managing discipline is easier when you allow people the chance to monitor and manage their own performance, because they’re already aware of what’s going on, they know whether they’re meeting expectations, and that they can take their own steps with colleagues to correct the situation. I also wanted people to be direct and to the point with each other, but it was more important that they treat each other with respect. All of that made managing discipline within the company a lot easier than a system where people could be mean to each other, and managers were allowed to exercise their egos. Comments? You can contact me directly via my ExecRanks profile. What Do Boards and B-schools Have In Common? Brad VanAuken President /BrandForward, Inc.
What Most Retailers Lack Today? Common Sense!